Brilliant as usual. Always a pleasure having my teeth looked after. We regularly assess the appearance and alignment of your children’s teeth at their routine inspections. If we feel there is a problem or we anticipate future crowding, children can be referred to one of several specialist orthodontists in the area. 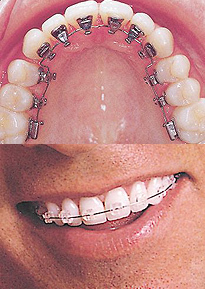 This initial consultation by the orthodontist is usually carried out on the NHS and is free for children. Due to NHS restrictions, not all tooth re-alignments can be carried out under the NHS, and an estimate may be given for private treatment.